If you are hosting a nonprofit fundraiser or gala with the goal of raising funds or encouraging more people to volunteer, the message is everything. Before those donations will come pouring in and people start lining up to volunteer, you’ll need to educate and connect with your audience. Banquet production companies might have an understanding of event production, but TalkingTree Creative is a fundraising events production company that has planned fundraising events for major companies and lobbyists in the nation’s capital. Our gala production company understands the ins and outs of planning and executing non-profit fundraisers and video production for galas in the Baltimore-Washington corridor, the greater Mid-Atlantic region, and nationwide. We build an experience around your gala or fundraising event so that would-be donors will identify with the cause you’re supporting and become inspired to act on your message. Our multimedia video presentations are one of the key ways in which we accomplish this. 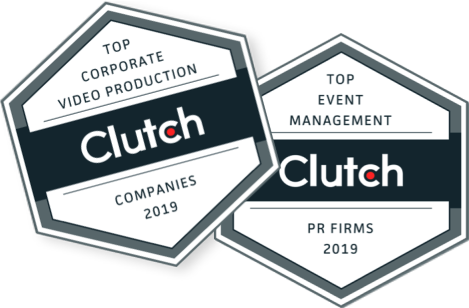 We use video to reflect the theme and significance of your event while connecting with your audience. Our expertise in video production adds an element of education and creativity to your overall message. Every task for your event is completed with professionalism and dedication–from booking the caterer to handling registration at the door. All you have to do is compile your guest list and deliver the invitations and we will handle the rest. Your gala or fundraising event doesn’t have to be a boring affair that empties out the minute it’s over. Our production company is your one-stop shop for your gala planning and video production for awards shows. Our awards production company will plan, produce, and fully execute your event design in a way that is professional, welcoming, and memorable. We work with you to tell the story that surrounds your event and our expertise at video product production for galas and fundraisers ensures that we will be able to create an experience your audience will never forget. Our team handles everything from decor to the final curtain call, and when we apply our talents to your event, your audience won’t ever want to leave. By trusting us to plan and execute your event, you can rest assured that the night will go off without a hitch. This will free you up to spend the evening cultivating more donors and recruiting volunteers rather than scrambling to fix a sudden issue with AV equipment.